Many producers have completed or almost completed corn harvest and getting ready to start drilling wheat. 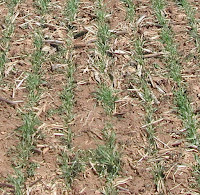 One question that keeps coming up is the need for a fall nitrogen (N) application. In most years there is adequate residual N following corn. However most areas in Kentucky in 2015 had very good corn yields and a considerable amount of rainfall earlier in the season. Good corn yields coupled with high rainfall probably means that there is very little residual N remaining in the soil profile. Numerous studies at UK have not shown a consistent yield advantage to fall N applications for wheat. However, fall N does stimulate growth and establishment of the stand. Too much fall N could reduce yields by causing excessive growth and more winterkill. The following is a progress report to the Kentucky Small Grains Growers Association. The primary goal of this research is to provide new product information to wheat producers. New product releases, which occur every year, are often accompanied by weak performance evaluation information – often testimonials based on invalid comparisons. Chemical soil compaction treatments, liquid carbon and foliar nutrition products are already in the marketplace, and a new group of ‘biological/microbiological’ products is now emerging. Are any of these new materials going to be the “next big thing” in wheat production? 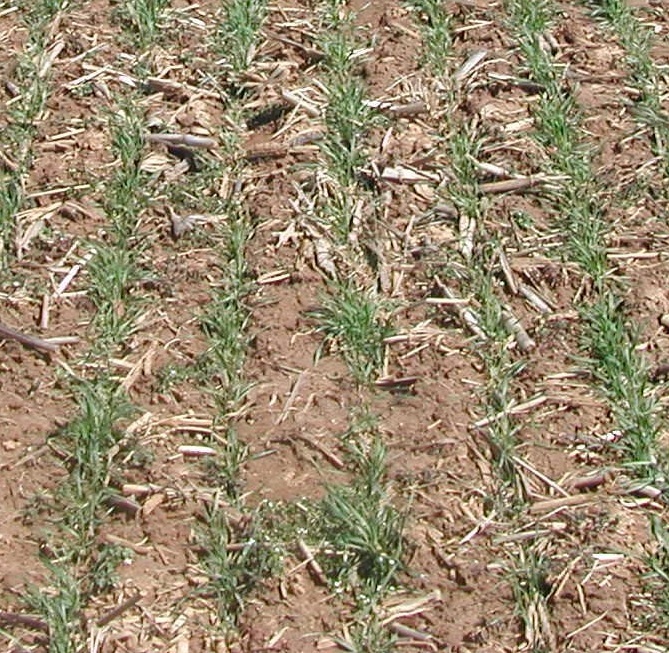 The objective was to evaluate nine products intended to raise Kentucky wheat yield. Six products were specified by the Kentucky Small Grain Growers Association.